So much to read, so little time? 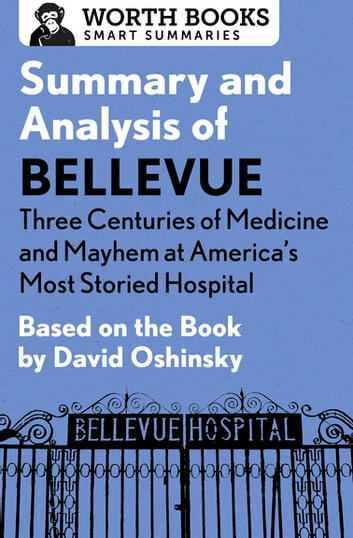 This brief overview of Bellevue tells you what you need to know—before or after you read David Oshinsky’s book. 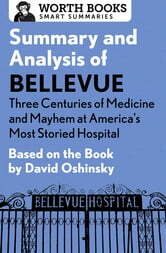 Pulitzer Prize–winning historian David Oshinsky provides a comprehensive account of New York City’s famous Bellevue Hospital, from its early inception as a poorhouse infirmary to its most recent struggles and triumphs, including a dramatic evacuation during Hurricane Sandy and the successful treatment of an Ebola patient. In the centuries between, the hospital contends with epidemics ranging from yellow fever to AIDS, a meddling journalist named Nellie Bly, and the tragic murder of a doctor on hospital grounds by a mental patient. Some of Bellevue’s finest staff are highlighted, including two doctors who operated on American presidents and two others who virtually invented forensic science.